VANCOUVER — What if there was a scientific formula for proving just who, these days, is perhaps the most resilient team in all of B.C. high school sports? Plug in all of the data, and the answer which would most likely emerge? 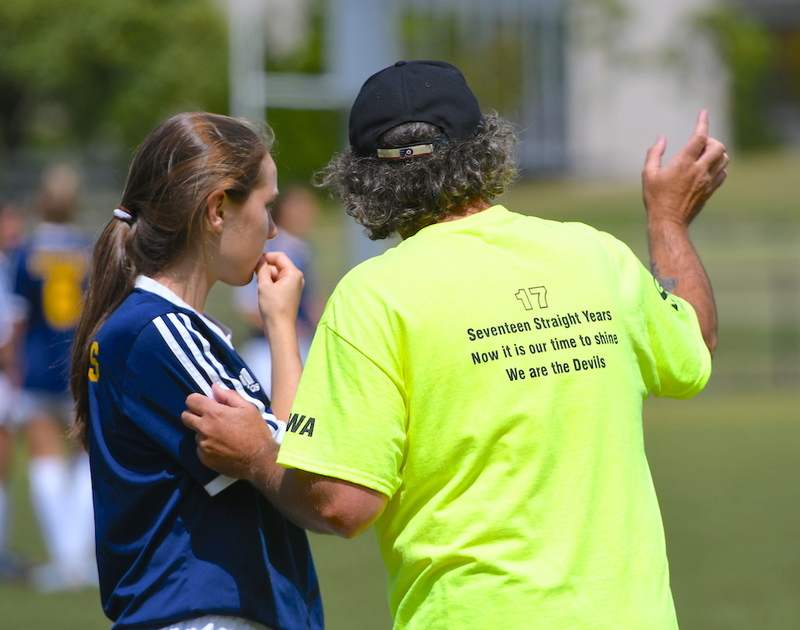 How about the senior girls soccer team at Surrey’s Fleetwood Park Secondary? For a record-setting fifth straight year, many as the underdog, the Dragons are headed to the B.C. AAA championship final, this time after somehow surviving a regulation and overtime session with the South Delta Sun Devils in which they were completely outplayed. Somehow, when the dust had cleared, they had come away with a semifinal penalty-kicks victory Thursday afternoon at UBC. Yet there is something magical about the way Uppal empowers his teams to play and to win. It’s happened so often, in fact, that you start to wonder if they have ever truly been the underdog. Last season, Fleetwood Park had to win a sudden-death game just to qualify for provincials as the Fraser Valley’s seventh-and-final seed. 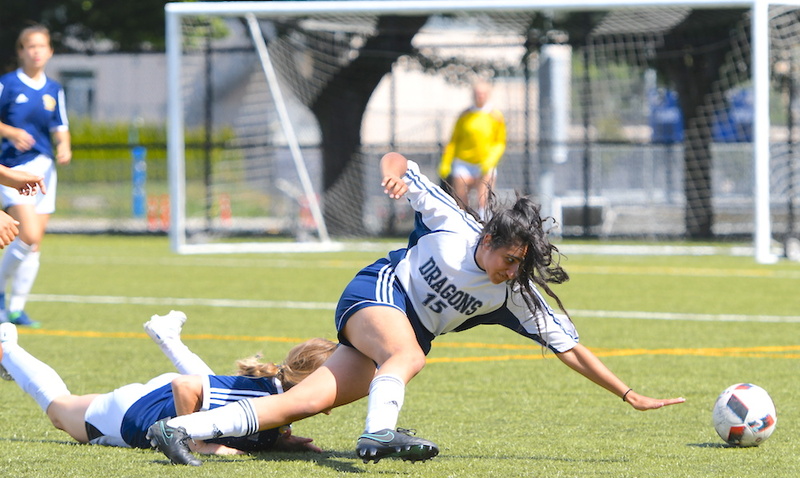 All they proceeded to do was advance all the way to the title tilt before falling on penalty kicks to Panorama Ridge. This season, they came into the 16-team B.C. tournament field as the Valley’s No 6 seed, the proverbial snake in the grass, waiting to strike. Yet without a single senior on its roster at a time when experience seems to matter most, all the Dragons did was go a perfect 3-0 in pool play, joining South Delta as the only two teams to do so this season. On Thursday, South Delta looked like a team ready to play for the B.C. title. Yes, regulation ended in a 0-0 draw, but it still seemed to be a matter of when, not if. In the shoot-0ut, Fleetwood Park scored on all four of its opportunities, while the Sun Devils missed two of their four. Emily Mackenzie, Simran Billen, Jenieva Musico and then Karmin Dhindsa with the winner, tallied for Fleetwood Park. Yet they were earlier in the day. South Delta closed out pool play Friday morning against the Argyle Pipers and were completely dominated by their North Vancouver foes. Yet off a chaotic corner with about three minutes remaining in regulation time, the Sun Devils equalized at 1-1, then proceeded to beat the Pipers on penalty kicks. What’s next for the Dragons? Fleetwood Park has not played Coquitlam’s Centennial Centaurs since the 2016 Fraser Valley tournament. Now, two years later, the rematch comes in the B.C. final (11:45 a.m., Thunderbird Stadium) after the Centaurs got a pair of goals from Grade 10 forward Raegen Mackenzie to beat Vancouver Island champions Reynolds of Victoria 2-0. The Fraser Valley champion Centaurs have a more veteran lineup and last season came into their own after a trip to the provincial Final Four. 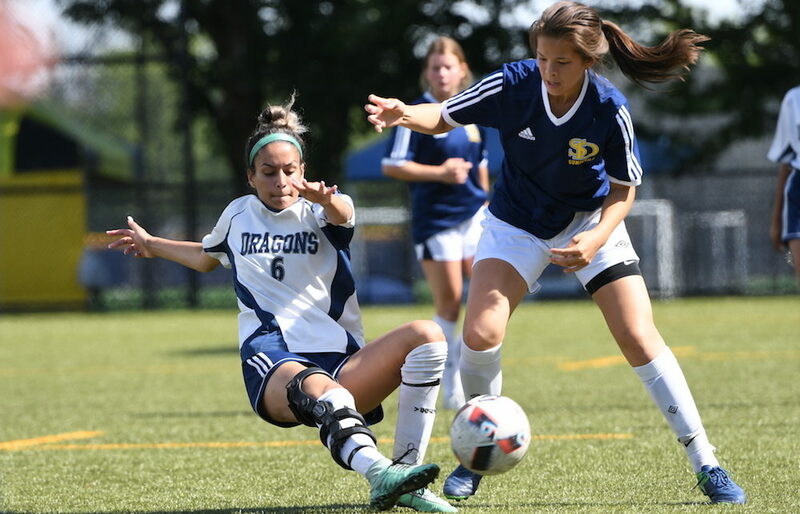 Yet the Dragons, despite their lack of Grade 12s, have three players — Nikki Virk, Musico and Billen — who come Friday, will be appearing in their four straight B.C. final. “Honestly,” said Virk in the post game, “it just came down to the heart on this team. We have so much passion and we love this game. Fleetwood Park won its first B.C. title in 2014, and ever since has alternated between gold and silver, finishing second in 2015, first in 2016 and second in 2017.